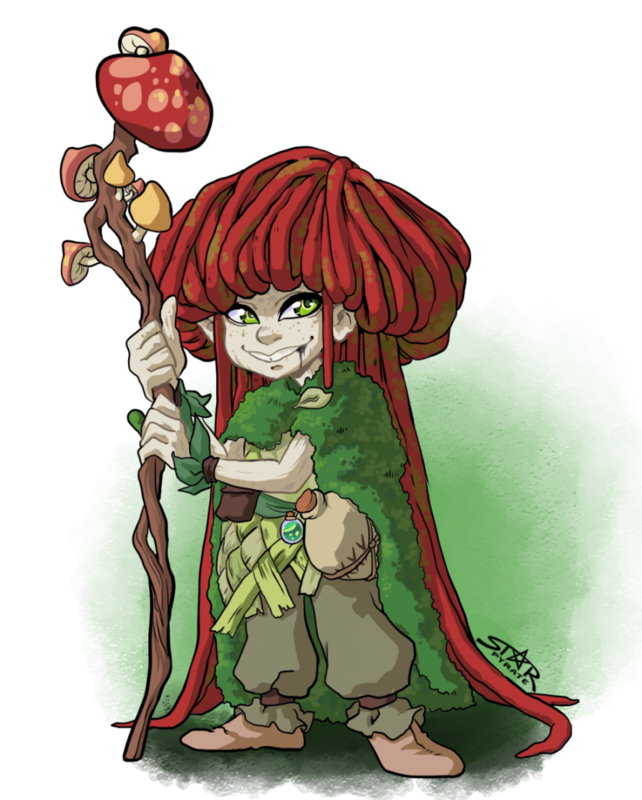 Sylo Scibin Sporelit (named Rosey at birth) hails from an old lineage of druid, gnomes whispered to have lived in the Great swamps for generations. She’s roughly 102 years old though she’s lost track of her age having lived in exile as a hermit for the last 60+ years. Rosey was excommunicated from her tribe after pushing an experiment with a highly toxic mushrooms too far. This concoction lead her to the realm of Zuggtmoy, the Demon Prince of Fungi, who scored her lack of respect by cursing her with grey, poisonous skin (similar to that of a mushroom) and dubbing her Sylo Scibin Sporelit. Now a servant to Zuggtmoy, Sylo is tasked with nurturing a special mushroom gifted to her by Zuggtmoy at all costs. Upon her return to her swampy planet, Sylo’s Uncle Jasper and the elder druids of their tribe could not allow Sylo to say within the village after such disrespect of their traditions and practices. Thus, Sylo was exiled, and she took to the woods to care for Zuggtmoy’s mushroom with no limitations on the experiments and concoctions she can create from the poisonous wild. After decades of caring for Zuggtmoy’s gift, the tiny mushroom grew to maturity and Sylo was able to puck it from the ground to use as a personal druadic focus staff. 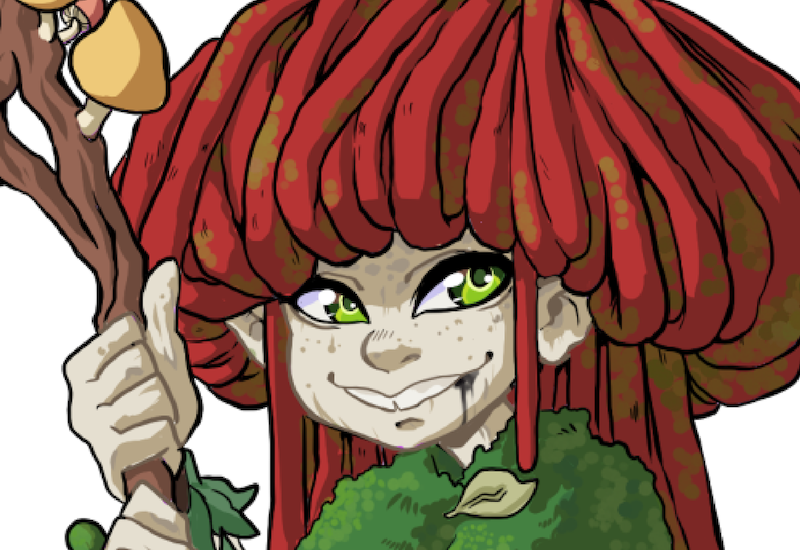 Aptly named Polypore, Sylo’s living mushroom staff keeps her company in the lonely swamps and provides her only means of friendship (except for her two imaginary friends, Morbeek & Ponine). Sylo’s love of all things toxic and poisonous steams from a place of genuine care and concern for the living. She believes that if she can master and understand the poisonous qualities of mother nature then she can also protect creatures from the harmful effects of them. She may often seem a little “burned out” from the consistent testing and sampling of substances, but don’t be fooled. She is wise beyond her years.